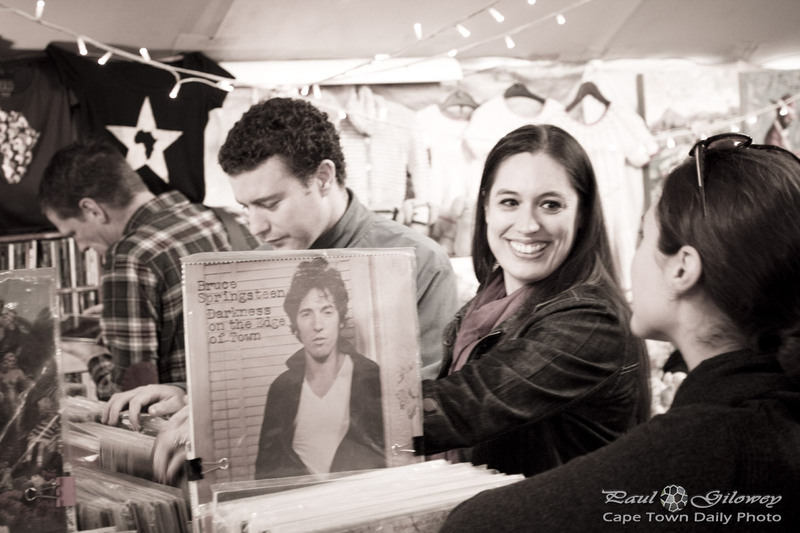 I just don't get the craze about vinyl - but Kerry-Anne does, clearly - I'm sure you can tell by the excitement with which she's holding up that old Springsteen album. Posted in General and tagged market, people on Thursday, 1 August, 2013 by Paul. I don’t buy music any more, but I’m happy to see the return of vinyl and very tempted to start a new collection.